This week I spent two days at the Disney Animation Studios in Burbank California. This is the place where major animation films are created. Unless you have been living under the Rock of Gibraltar you know what these films are. Mermaids, Beauties, Beasts, Princesses and more come to life in this space in the form of hand-drawn and digitized artwork. It is a fascinating place, nestled amongst the neighborhood full of the studios of Warner Brothers, Universal and other major players. This studio is quite different from the traditional movie lots in that a great volume of material is generated from a small amount of real estate. The animation audio product is similar – and different from its counterpart in the world of flesh and blood actors in front of cameras. The recording process for animation dialog can be much more carefully controlled, since there is no need for on-site microphones with all of their challenges with noise and synching. The final stages – the mixing of audio and its inevitable translation into the cinema and home environment are faced with the same challenges – whether they are animated or live-action originals. The cinema challenge is about standards of reproduction. The media leaves the studios and is reproduced is a new space – cinemas, homes and whatever else. The creative designers – audio and video – must have faith that their work is accurately represented out in its public form. This is a very different world than our live audio perspective. A live show has no requirement to adhere its reproduction to an ongoing standard. If the guy mixing ZZ Top thinks that he wants some more 400 Hz, then who is to argue with him? The 80 mic lines coming INTO the mixing console are not a finished product to be shipped to the listeners. The tom drum mic may have severe leakage issues from the snare. Reproducing it “accurately” could be an idiotic idea. The finished product in live sound is inherently – and continuously – a closed loop of self-calibration. The mix engineer constantly readjusts the system like the hydrodynamic stabilizers that continuously keep a cruise ship upright. Where a standard is applicable in live sound is between the mix position and the audience – and that is where the worlds of live sound and cinema sound meet. In live sound, the self-calibrated mix location meets the audience at the same time, just beyond the security fence. In studio world, the self-calibrated mix position meets the audience in another room, at another time. Creativity is the king in the mixing space, but objectivity is the only hope for accurately translating that creative undertaking to our listeners –whether it be live or Memorex. The cinema world has long adhered to standard practices in order for its media to be accurately represented. The audio standards were quite lax historically, but have come great strides in the last 30 years with standards, verification and testing brought to the industry through THX, Dolby and others. It is not my intent to provide a history of cinema sound here – suffice to say that, unlike live sound – we can measure a sound system in a room have a target response that we can see on an analyzer. The reason is that –unlike live sound – the media presented to the speaker system IS the finished product and therefore can be objectively verified. A reproduction that is more accurate – closer to the standard is objectively superior to one that is less accurate. If there is a peak in the sound system 400 Hz for a live sound system, the mix engineer can – and will – modify the mix to reduce 400 Hz until the offending frequencies are tamed. If a cinema playback system is left with such a peak, it will be left there for all to hear. If the speaker in the recording room is left with such a peak – the inverse will occur. There is no feedback loop between the recording studio playback monitors and the house speakers. This loop can only be closed by adherence to a standard in both locations. A simple case in point is subwoofer level. Live engineers consider this a continuously variable creative option. In cinema world the sub level MUST be set objectively or major points of impact will be either over- or under- emphasized. 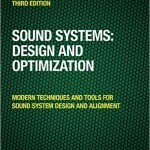 The folks at Disney Animation have added a SIM3 System to their inventory of acoustic analysis tools. This is an excellent tool for the job of calibration for studio and large spaces – and for verification that such spaces match. My purpose over these two days was to train a group of engineers there how to operate the analyzer and to open their perspectives up to seeing how measurable physical acoustics affects their work and its translation. The addition of SIM3 opens up a lot of doors for cinema sound. The adherence to standards can stand to be greatly improved by the use of a complex, high resolution FFT analyzer such as SIM. In the next part I will describe some of the interesting things that came up during our two days there. 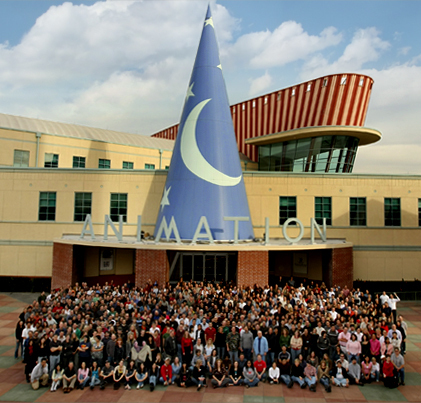 Here is a photo of the Disney Animation studios from their web site. Interesting note is that the building was built by McCarthy Construction Company. This was my family’s (I am 5th generation) company and I expected to grow up and join the company. Instead it did neither – blame it on rock and roll. But either way, I guess I would have ended up here!